New research "Mobile Bar Code Marketing: Challenges, Opportunities, Global Outlook 2012-2017” developed by Mind Commerce has been recently published by Market Publishers Ltd. The research finds that the mobile bar code redemption value is forecast to exceed $50B globally by 2017. Mobile barcodes are now appearing in various media including magazines, catalogs, website, outdoor signage and billboards, packaged goods, conference presentations, name tags, clothing, and more. With the increasing adoption of smartphones, and rapid advancements in their capabilities, mobile barcodes are becoming a powerful advertising vehicle. Unfortunately, far too few marketers recognize its true potential. The mobile bar code redemption value is forecast to exceed $50B globally by 2017. This is seen as a continuation of relatively moderate growth as mobile bar codes enter a steep growth phase beginning in 2017. New research "Mobile Bar Code Marketing: Challenges, Opportunities, Global Outlook 2012-2017” developed by Mind Commerce has been recently published by Market Publishers Ltd. The report provides analysis and insights into the mobile bar code market. It discusses business challenges, strategies, customer response, use-case analysis, competitive analysis, and market outlook. 11.9 MAGAZINE SWEEPSTAKES PROMOTION-SCAN THE CODE TO WIN A I PAD. 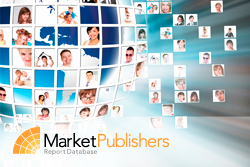 More new market research reports by the publisher can be found at Mind Commerce page.